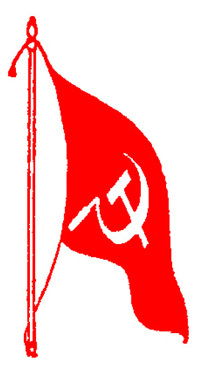 Long Live 10 years of the heroic Indian Communist Party (Maoist)! On September 21st, 2004, an important event occurred, which contributed to the advancement of the revolutionary forces in India and around the world—that is, the founding of the Communist Party of India (Maoist). This event is a source of inspiration for the world revolutionaries because it shows that it is possible to attain solid and principled unity at the political level through two-line struggle based on Marxism-Leninism-Maoism and the strategy of protracted people’s war. India is the world’s second most populated country. It is a semi-colonial and semi-feudal country. Maoist presence in India is significant. In fact, areas of Indian Territory are controlled by Maoist revolutionary forces. The CPI (Maoist) is the genuine party of the proletariat and oppressed and exploited masses of India. The reactionaries who hold political power in India see in the protracted people’s war the main threat to their security. Maoists around the world hail the Communist Party of India (Maoist), the People’s Liberation Guerrilla Army and the Indian popular masses who are waging a heroic struggle against imperialism and the local reactionaries and to build new power and a new society. The reactionary regime wages a terrible and brutal repression against the Maoists and the masses that find identify and fight with them. The regime is targeting the Party’s leadership and its organizational infrastructure by killing or arresting cadres and key activists. At the same time, it targets the popular masses and the democratic movement that condemns and denounces the repression of the Maoists in order to isolate the Party and prevent it from progressing and developing. Due to the omnipotence of the strategy of protracted people’s war and the application of a correct political line, the revolution is making progress in India. Maoists are not panicking because of adversity and repression. The revolution in India is a hope for the oppressed and exploited masses of the world. Indian revolutionary masses, their revolutionary army, their mass organizations and their Party deserve our support. They are our troops, and we must move everything to support them. Proletarian internationalism commands us to mobilize popular and democratic forces in every country, especially to fight Operation Green Hunt – the Indian government´s repressive campaign. The Indian government hates and fears the popular masses and more specifically, the workers and peasants and the oppressed nationalities, adivasis, dalits and women. The Marxism-Leninism-Maoism is what best sums up their revolutionary experience and aspirations. The Indian government does not want the masses to set up their own political power; its only objective is to serve the imperialists, the burocratic capitalism and feudal landlords. Indian Maoists are asking us to expose in front of the masses of all countries the reactionary character of the Indian regime and to call them to act in solidarity with the masses who aspire to build a new future. It is our duty to support all international campaigns that support the people`s war in India and oppose repression by the reactionary Indian state. We also need to take the example of the people’s war in India because of their effort to apply the genuine Maoism according to the concrete conditions of each country`s revolution. Fight against imperialism where one is, is another way to support the revolution and the Indian masses that are fighting semi-colonialism, semi-feudalism and imperialism. Long live the Communist Party of India (Maoist)! Condemn genocidal repression in India! Let’s emulate the Communist Party of India (Maoist)!